Many may argue that voter fraud doesn’t exist. But Rachel Tobac shows on this video how easy it is to hack into a machine that is used in 18 states– in less than two minutes– using no tools. One of eight 146 million registered American voters equates to 18 million invalid voters. The problem should be easily fixable. States can audit voter rolls and weed out duplicates and dead voters. States can ensure that voting machines are foul-proof and fixed, and require voter ID. 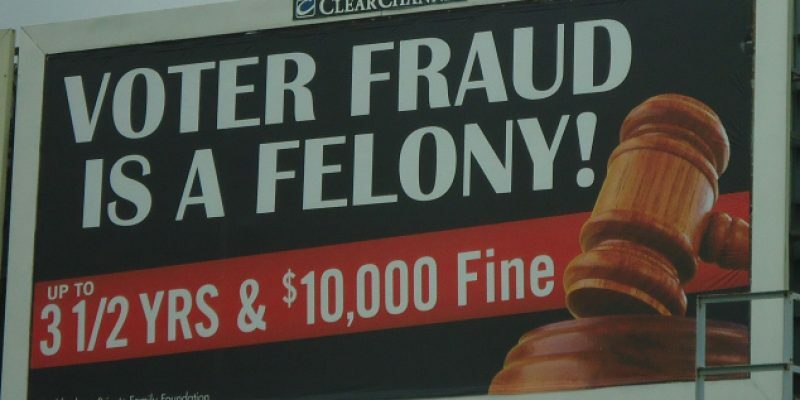 Voter fraud is a felony– which can result in jail time and thousands of dollars in fines.